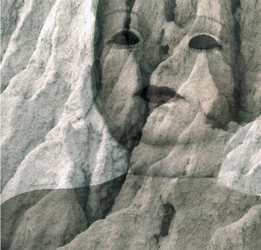 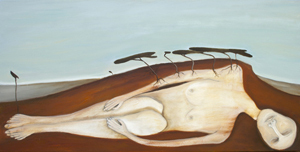 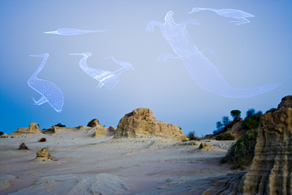 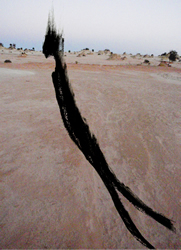 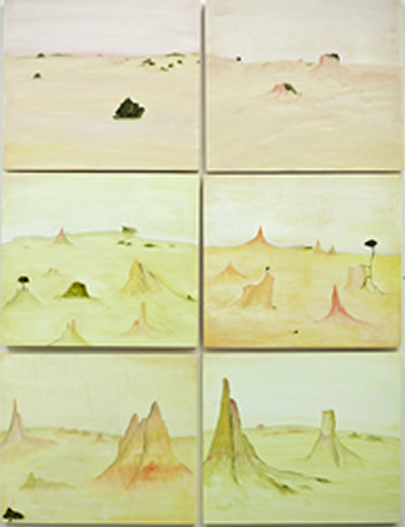 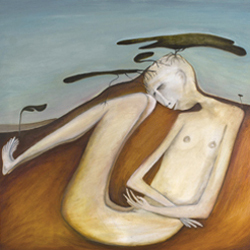 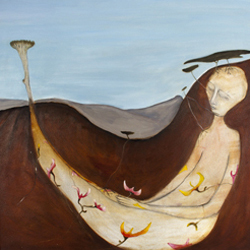 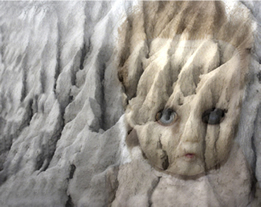 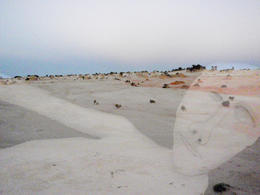 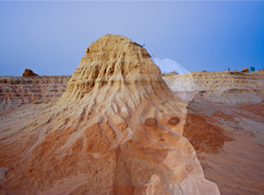 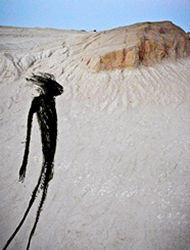 Mungo Woman is a series of paintings inspired by the Lake Mungo area in far western NSW. 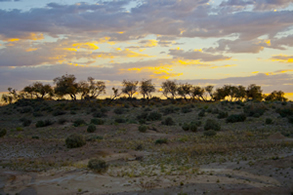 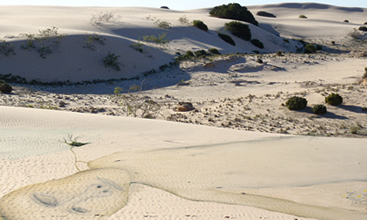 A prior residency at The Art Vault facilitated the work by giving me the opportunity to spend extended time in the area and to engage with the landscape during the heat of summer in January 2010. 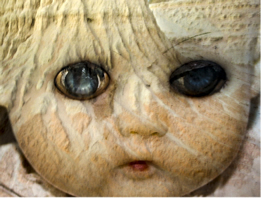 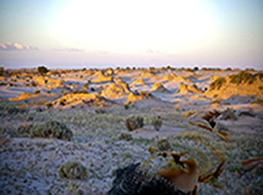 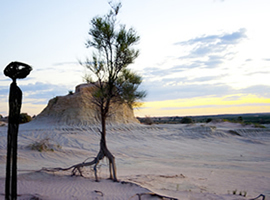 I was drawn to include stories associated with the Mungo woman who lived there 40,000 years ago and is believed to be the world’s oldest known cremation. 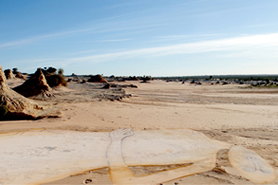 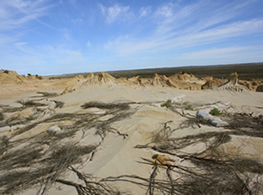 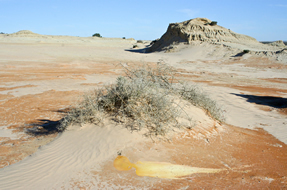 Mungo man was discovered in 1974 and his body was covered with red ochre in the earliest known example of a sophisticated and artistic burial practice. 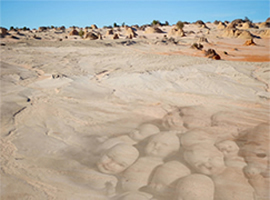 Other ancient cremations are now known. 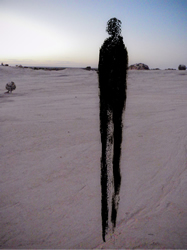 These bodies in the landscape have evolved into works that juxtapose the dry desert areas, the remains of our most ancient ancestors and the flora which exists there today. 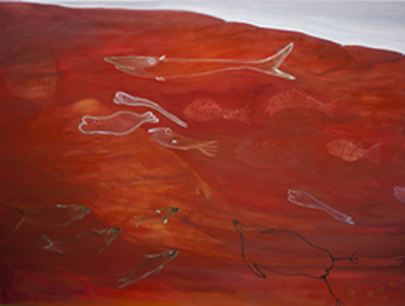 Identification with the area has led me to an ongoing exploration of its forms and symbolism and has enabled me to capture linkages to mystery and spirituality in my strive to paint something beyond the visible subject itself. 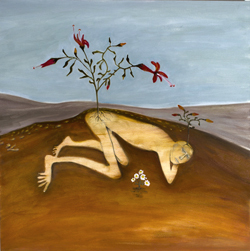 The exhibition has been supported by DCider -try it and let it be the Dcider.